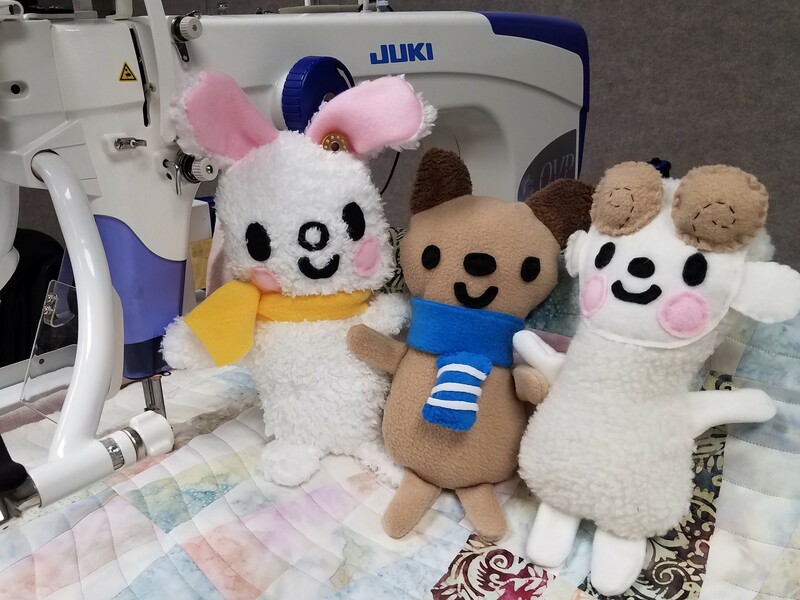 There is only One Problem… Bobbin is on the Left, Hari is on the Right but our Mascot in the center Needs a Name. He Totes a cute little thread spool necklace and loves to hang out with his sewing pals. Winning Name will be announced in May and the Winner will receive a Juki Tote filled with Thread, sewing kit, buttons and more.